Alzheimer's disease, Lou Gehrig's disease, Parkinson's disease and other conditions leading to dementia all share one characteristic; each involves damage to nerves of the brain. Damage also affects nerves of the body outside the brain leading to such common disorders as diabetic neuropathy, migraine headaches and many of the debilities that accompany aging. In the past, doctors believed that injured nerves did not recover: fortunately, we now know that nerves in the brain and throughout the body can recover and return to functioning. But only if the cause of the nerve damage is understood and stopped. 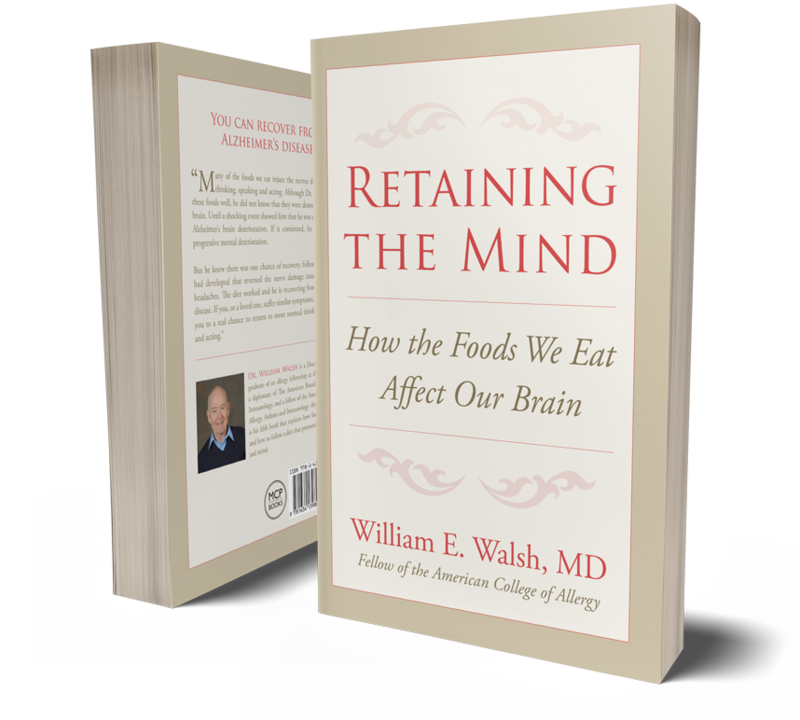 Retaining the Mind is the story of an allergy specialist, Dr Walsh, who descended deeply into the confusion of Alzheimer's disease. Relying on his knowledge of the foods that damage and destroy nerves, he changed his diet and recovered from this horrendous disease. Now he wants to teach you how to avoid these foods and slow and even reverse the deterioration of mind and body caused by these foods.